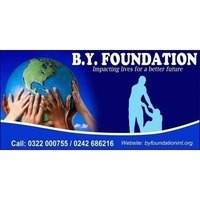 B. Y Foundation is a registered NGO in Ghana and one of the fastest growing charity foundations in Africa. We have undertaken many humanitarian projects in some countries in Africa like Ghana, Togo and South Africa. The foundation has its head office in Kumasi, Ghana. The primary sectors we operate under are health, education, child-welfare ,gender equality , and youth empowerment. Our mission is to impact lives for a better future . We assist people regardless of their race, religion, culture and beliefs.